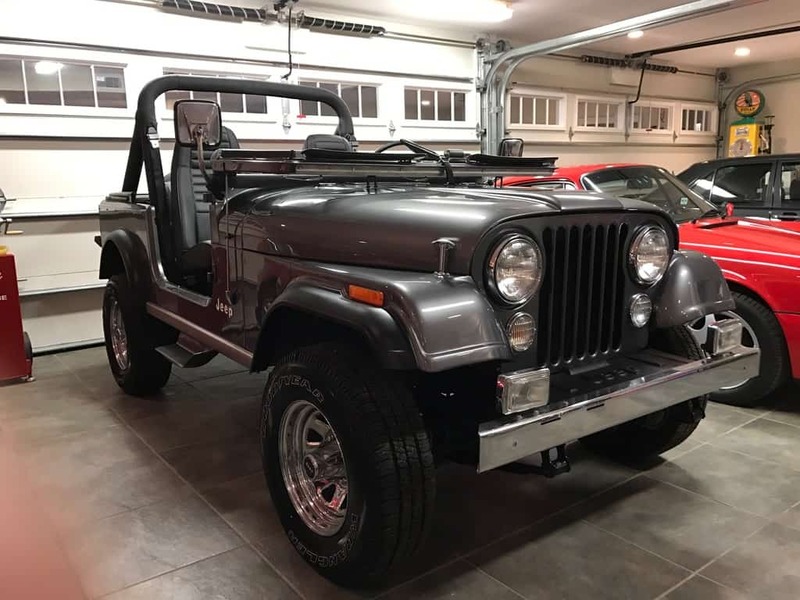 Last June I sent my 1984 Jeep CJ-7 to Dean Laumbach for a “light preservation restoration.” While Dean primarily works on German cars (specifically Mercedes-Benz), he agreed to take on this unique project. 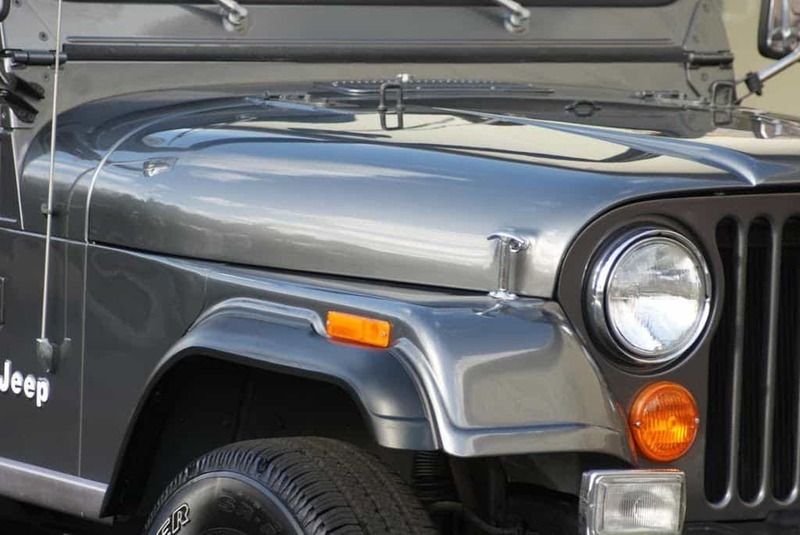 I bought this Jeep over fifteen years ago from Jeep CJ experts Collins Brothers. 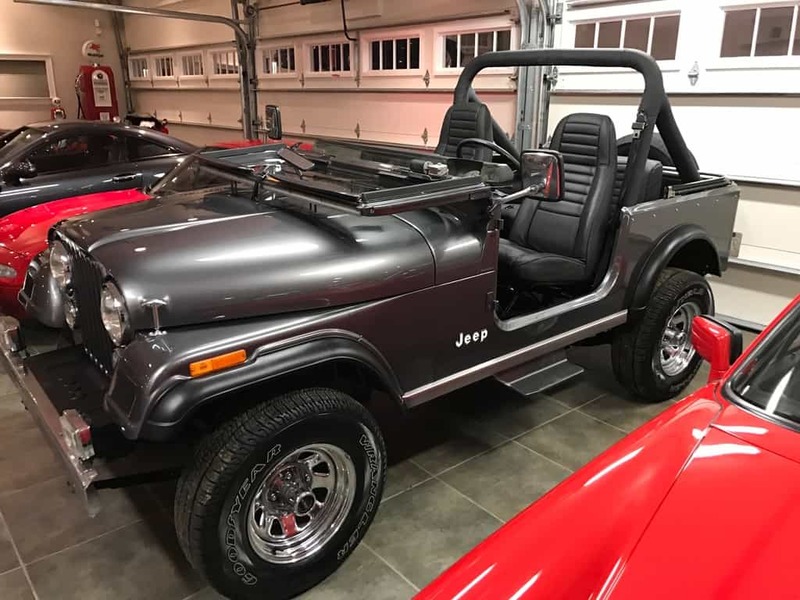 My CJ-7 was a one-owner vehicle that was sold new in Dallas Texas. 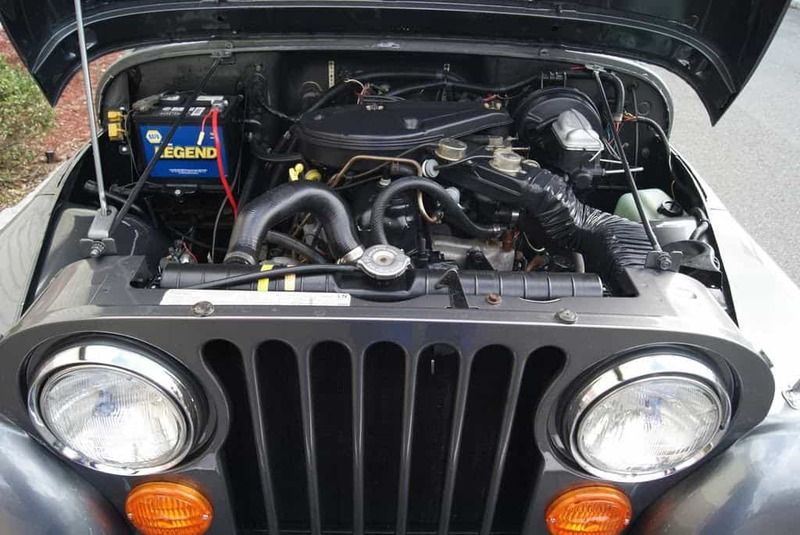 It had lived in Texas its entire life, and when I acquired it in 2001, the Jeep had only 33,526 original miles. 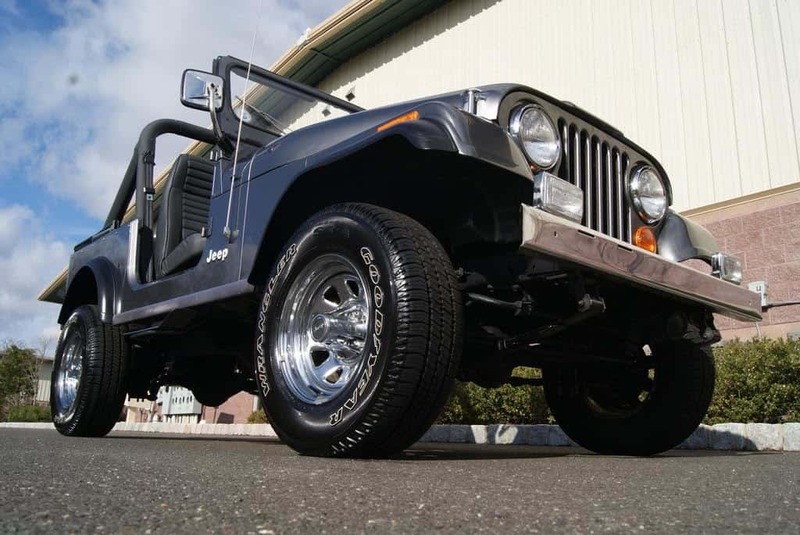 Its first owner was a passionate Jeep enthusiast, and it had been garaged and well maintained. I still have the original books, records and window sticker. The file also contains all the registrations and service records from new. But after thirty years my CJ-7 needed some of Dean’s TLC. 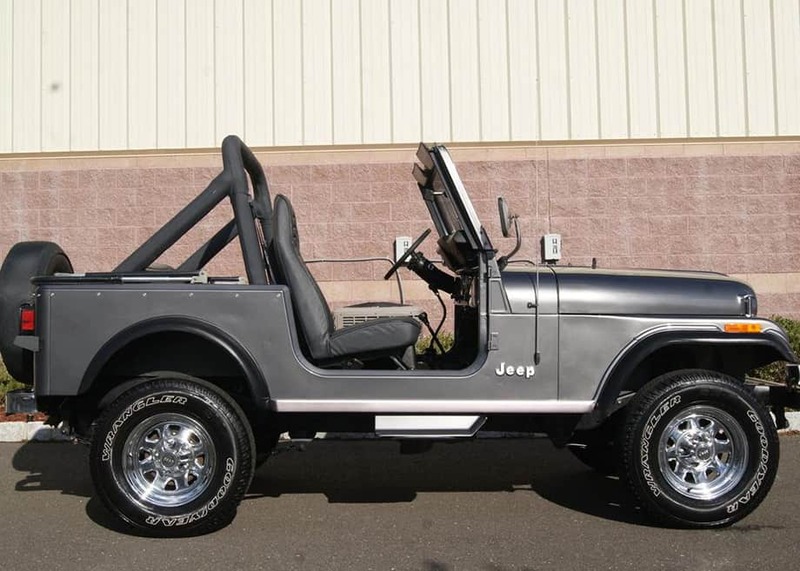 The last CJ-7 was produced in 1986. Very few have survived in totally stock and original condition. 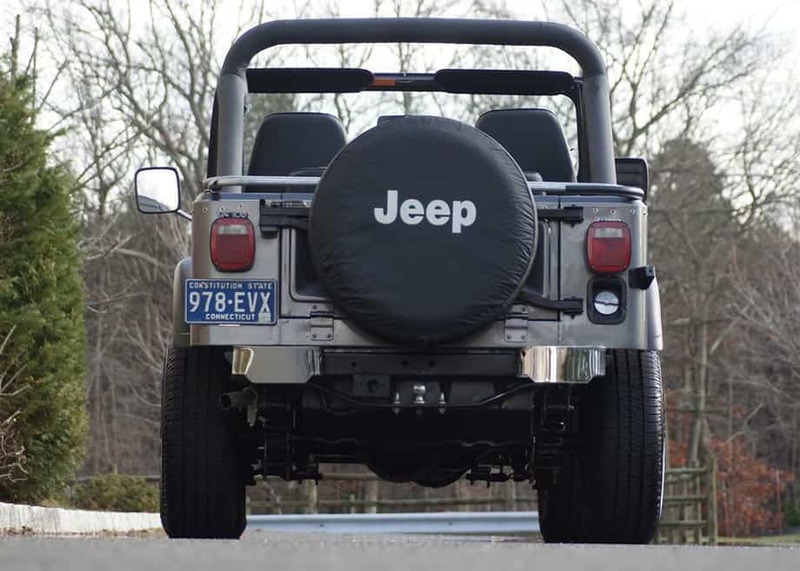 Most Jeeps have been lifted, modified, and heavily off-roaded. Many have rusted into oblivion. 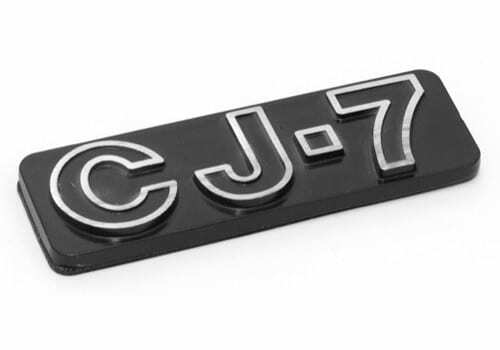 We started our project with an excellent highly original and stock example (probably one of the best CJ’s left anywhere). 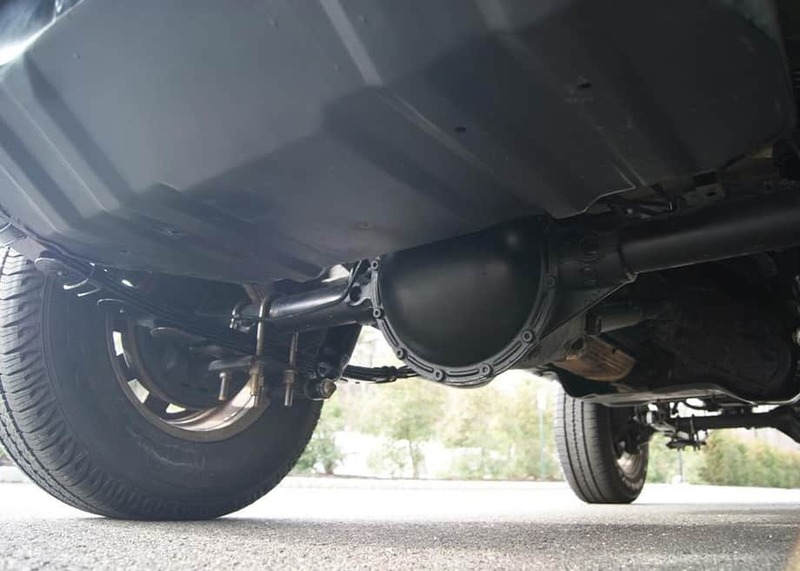 As is usually the case, what began as a small project quickly turned into a full-blown restoration. Back in 2014, I had some major mechanical work done to the Jeep. 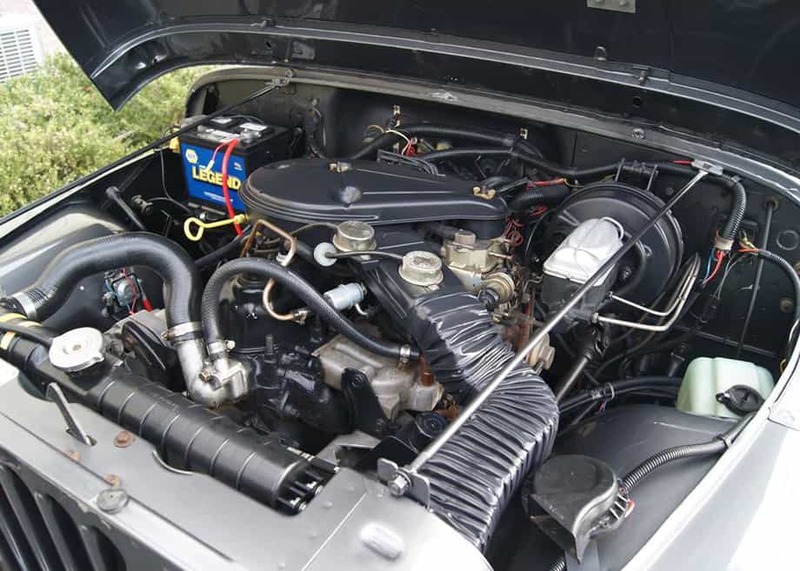 We installed a new factory radiator and rebuilt the carburetor. Today the Jeep shows 38,000 miles and drives straight and runs strong. Dean’s original goal was to combat the thirty-two years of time that had elapsed since my CJ-7 left the factory in Toledo Ohio. 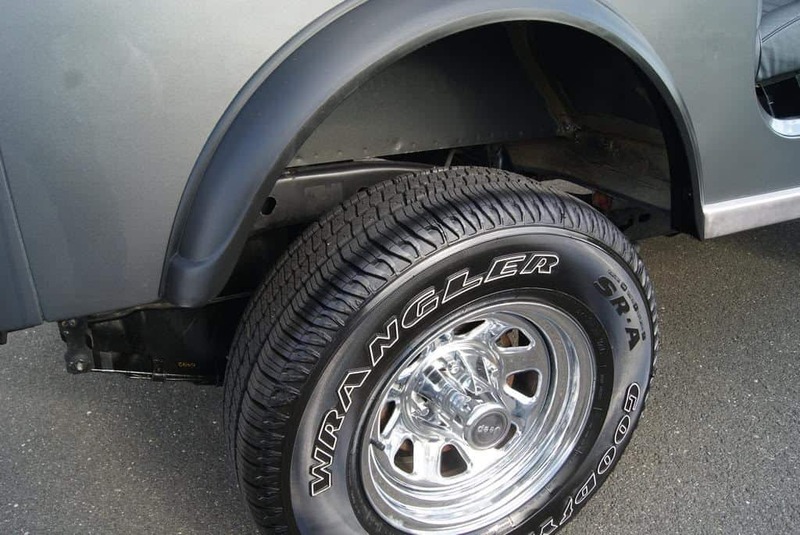 The Jeep didn’t need much sheet metal work, but it did need cosmetic work. As Dean pointed out, Jeeps do not have the exacting German quality or manufacturing standards we have come to expect from Mercedes-Benz. Dean spent a lot of time going through the vehicle and ultimately concluded that the clear coat was beyond repair. Thus began an eight-month full-blown restoration. The photos that follow chronicle the outcome. You can see the restoration progress on three prior Turtle Garage blog posts that can be read here. Special thanks to Paul at Lee’s Garage for putting so much time and effort into this project. No CJ has ever seen a paint job like this! Also thanks to Colby at Collins Brothers Jeep for his help in chasing down dozens of factory correct original OEM Jeep parts. Full strip down of the entire vehicle (we did not remove the body from the frame). 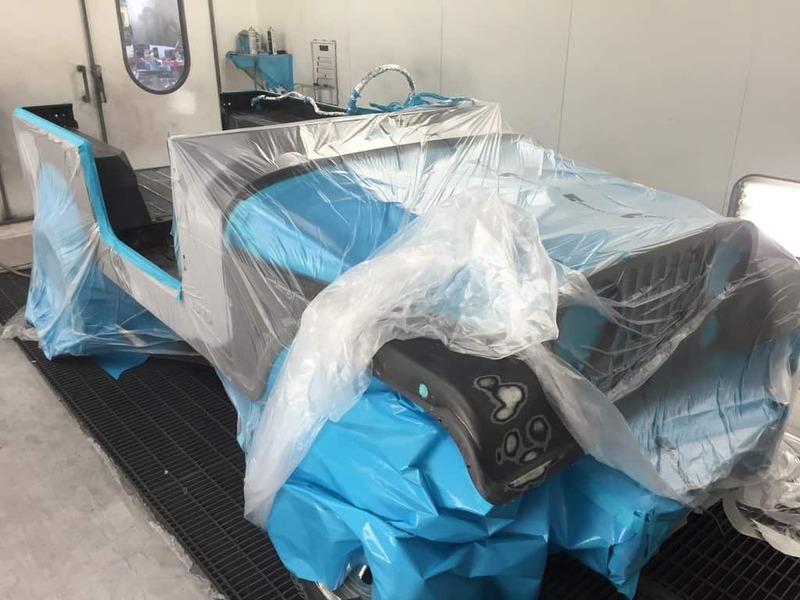 Professional re-paint in factory livery of charcoal gray metallic (paintwork performed by Lee’s Garage, a factory certified Mercedes-Benz body shop. 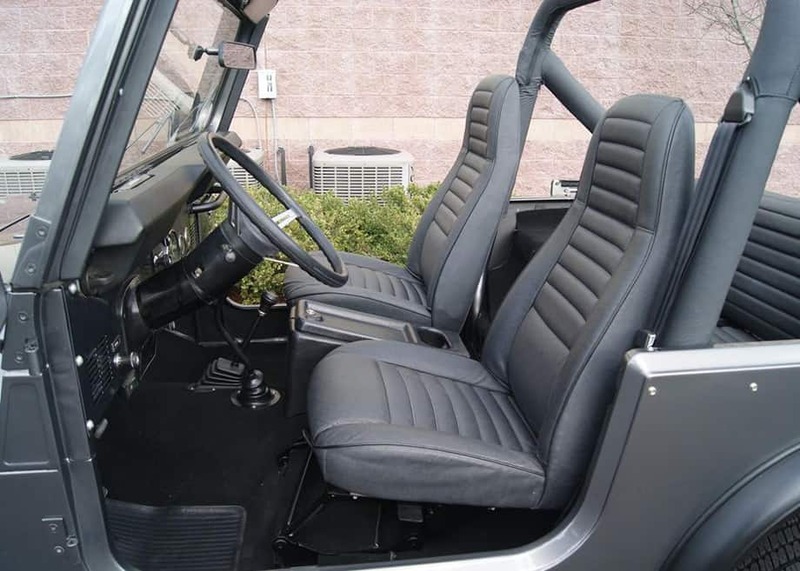 Full disassembly and restoration of seats including bead blasting of seat rails. Installation of new factory shocks, springs and bushings. Polishing and restoration of all chrome and rubber fittings, nobs, and screws. Replacement and repair of all lights, switches, and rubber gaskets (where needed). New factory OEM soft top. 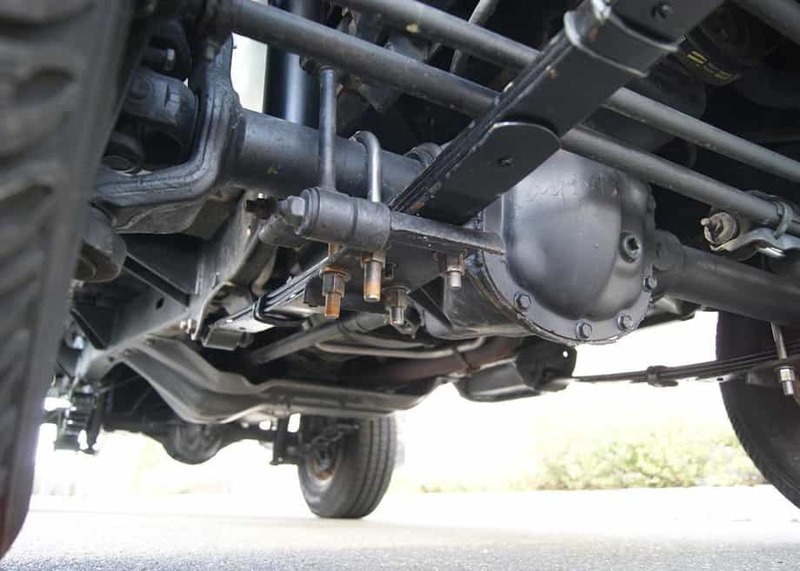 Extensive undercarriage and engine detail, including factory replacement parts where needed. The result is undoubtably one of the most comprehensive and complete factory-correct restorations of a solid low-mile original Jeep CJ-7. 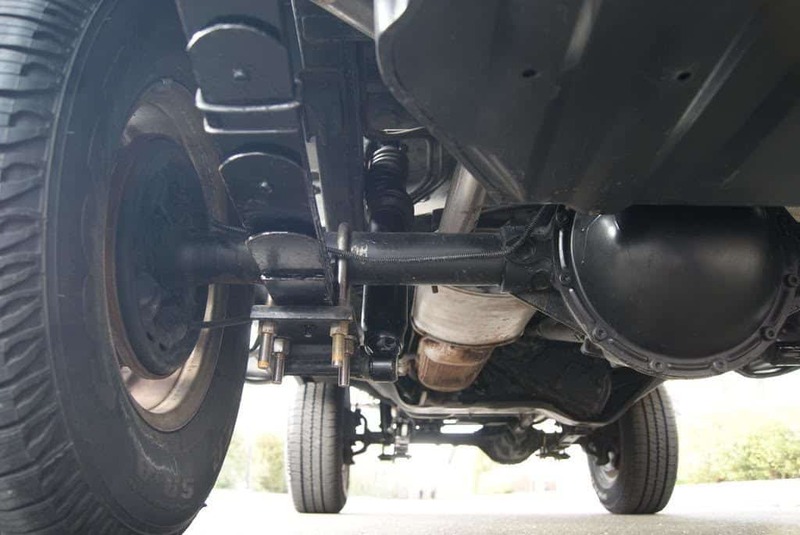 Undercarriage has been thoroughly cleaned and worn parts replaced with new factory OEM originals. the 258 six runs like new….. The paintwork is stunning and while far superior to what it left the factory with, we carefully matched the exact original color. Dean left no stone unturned in this comprehensive restoration. Seats were carefully cleaned but were in excellent original condition prior to restoration. 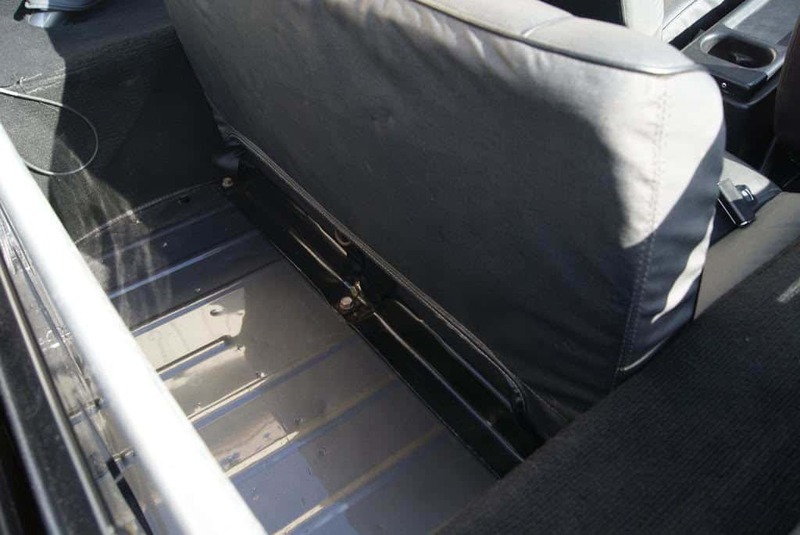 Interior restoration included new plastic where needed and chrome restoration. Panel fit is perfect and straight. Factory original chrome wheels were removed and painstakingly polished and cleaned. 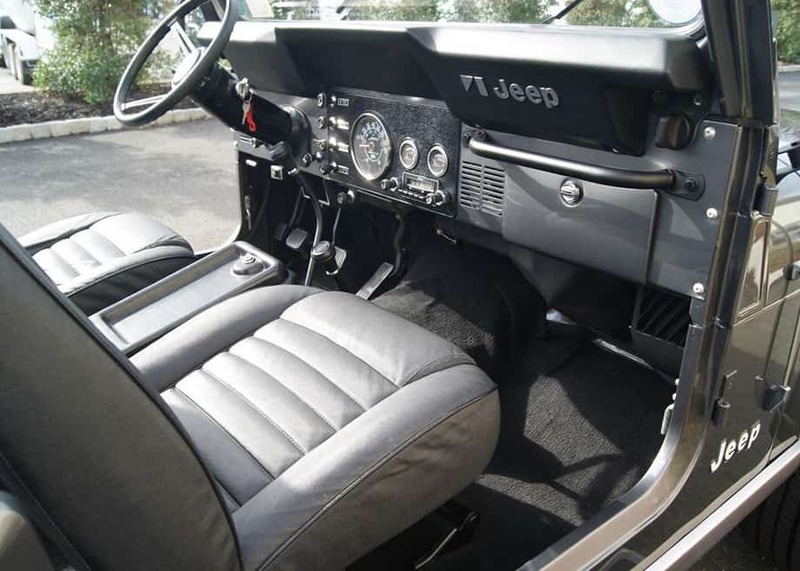 Is the jeep featured in the Project CJ Part IV article still available? 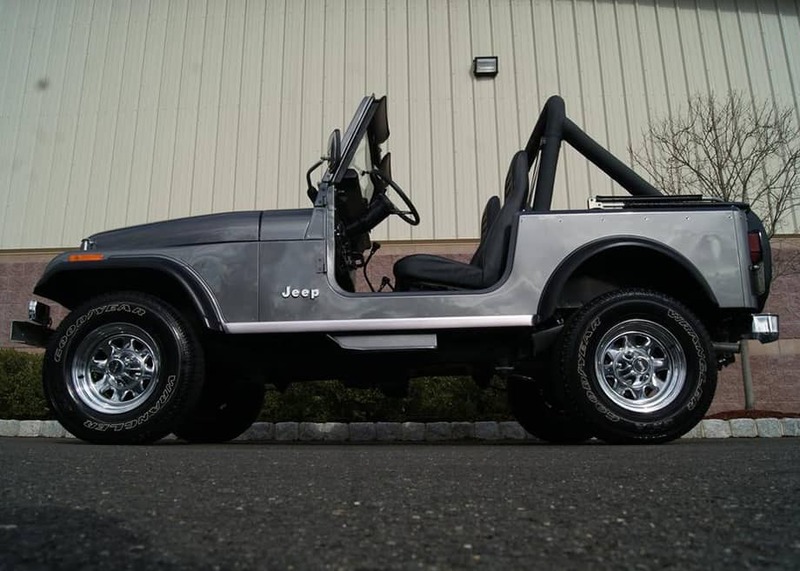 It’s listed as the Ultimate Factory Correct CJ-7.